Crystal Creek® is proud to present Jessica Getschel and Dr. Ryan Leiterman’s recent article published in the Progressive Dairyman Magazine. Progressive Dairyman will be featuring three of Jessica Getschel’s articles on calf barn ventilation this year. 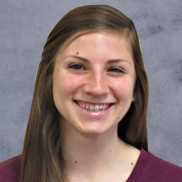 Jessica is a livestock nutritionist and ventilation specialist at Crystal Creek® and holds a bachelor of science degree from University Wisconsin Madison in Dairy Science and Microbiology. Will the system deliver a consistent source of fresh air into the barn during all seasons? Will the system effectively control the airspeed at calf level? Can the ventilation system rapidly adjust to the changing weather conditions of spring and fall when there are warm days and cool nights? Spring and fall weather conditions often present calf raisers with the challenge of fluctuating temperatures. The rapid and ongoing transition from warm days to cold nights creates a temperature roller coaster that can increase calfhood respiratory disease rates. Discuss your calf barn ventilation needs at Wisconsin Farm Technology Days August 25-27, 2015 in Sun Prairie and at World Dairy Expo Sept 29-Oct 3, 2015 in Madison, WI. 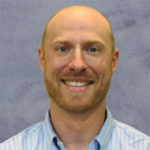 Dr. Leiterman is a dairy veterinarian experienced in calf barn ventilation design and analysis. He holds degrees in both Agricultural Engineering and Veterinary Medicine. During his time in practice, Dr. Leiterman has experienced first-hand how a properly designed ventilation system can improve calf health and calf raising profitability. Producers are encouraged to consider all factors that will improve the quality of the air the calves will breathe. As a calf barn ventilation engineer and a veterinarian, Dr. Leiterman has designed over 100 calf barns across the United States. Seeing different types of operations has given him the opportunity to learn various calf barn construction techniques that can improve air quality and reduce construction costs.